For over 30 years, our community has relied on Tomchei Shabbos to provide every week for our less fortunate. Tomchei Shabbos delivers hand packed boxes of Shabbos food essentials to over 225 families within the GTA. Providing quality food, timely delivery and courteous service. 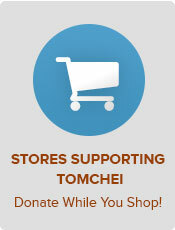 With your help, Tomchei Shabbos helps ensure that Shabbos will be a joyous day for families in our community in need. Every Wednesday night and before Yomim Tovim, a group of dedicated individuals get together on a purely volunteer basis and organize the delivery of food boxes.